We’ve all seen the devastation Hurricane Harvey has caused in Houston. People being rescued by boat. People without power or safe drinking water. Homes that were flooded or completely destroyed. It is heartbreaking. And so many without a flood insurance as opposed to a standard homeowners insurance policy! Yes, many of those Houston residents are about to face another devastating blow as they discover that their homeowner's insurance doesn’t cover damage caused by floods. Only flood insurance covers flood damage, and in Houston’s Harris County, only about 15 percent of homeowners have flood insurance! CoreLogic - a provider of consumer financial and property information, analytics and services - estimates the total residential loss from Hurricane Harvey will be $25 to $37 billion – for both insured and uninsured. An estimated $6.5 – 9.5 billion will be covered by insurance. Despite the fact that Houston lies in the projected path of many storms, 70 percent of flood damage caused by Harvey will not be covered by insurance. This means that thousands of people affected by Hurricane Harvey will be financially responsible for rebuilding their homes and their lives. Families with flooded basements, water-soaked furniture and walls, etc. without flood insurance will have to dig into their savings or take out a loan to get their homes back to normal. Some will probably be forced to sell their homes. How did this happen? Flood insurance is not mandatory regardless of where you live. Homeowners who purchase homes in a Special Flood Hazard Zone using federally-backed mortgages must have flood insurance, and sometimes mortgage lenders financing a property in the designated flood zone will require it. However, about 1.2 million properties (approximately half) in the Houston-Sugarland-Baytown area are not in a designated flood zone. Since flood insurance isn’t required in those areas, many homeowners who aren’t forced to purchase flood insurance decide not to. FEMA does offer low-interest loans to most homeowners who are affected by federal disasters and don’t have flood insurance. Those loans will need to be paid back, and for some, it will be like carrying two mortgages. as the images of the devastation fade from their minds. Despite the damage caused by Katrina, Sandy, and other large storms in the U.S., only about 12% of U.S. homeowners have flood insurance. And Berks County has experienced its share of natural disasters including damaging winter storms, flooding, tropical storms (Agnes in 1972), hurricanes (Sandy in 2012), earthquakes (2003 and 2007 in Flying Hills), hailstorms (May 2014) and tornadoes (as recent as June 2017). The devastation of Hurricane Harvey serves as a reminder that if protecting your family or your business is a priority, you need an experienced and responsible insurance agent who is willing to educate you and advise you of all the risks – not just flooding but other risks you may not even consider. The goal at American Insuring Group is to make our customers bulletproof regarding all their insurance protection, including flood insurance. Don’t wait until something happens and it’s too late - give American Insuring Group a call at (800) 947-1270 or (610) 775-3848 or Contact us online today! Our independent agents are standing by to help. No one wants to pay more for business or homeowners insurance than they need to, but everyone wants to ensure that that have the right coverage to protect their family and their possessions. It can be tricky to determine whether you need flood insurance. As you may know, standard homeowners and renters insurance policies do NOT cover flood damage. If you’re in a designated flood zone, the purchase of flood insurance should be a no-brainer, and your lender will probably require flood insurance in that case. But what if you don’t live along a river or by the sea, and you’re far from a designated flood zone? That’s where it gets a little trickier. Something to keep in mind: in the US, flooding is the most common and the most costly natural disaster, costing billions of dollars every year. The five most significant flood events in Pennsylvania (based on National Flood Insurance Program Payouts) include Superstorm Sandy in October 2012, Hurricane Ike in September 2008, Hurricane Ivan in September 2004, Hurricane Irene in August 2011, and Tropical Storm Allison in June 2001. Building Coverage covers the repair or replacement of the building. This includes the foundation, electric, plumbing, central air, furnaces, water heaters, refrigerators, stoves, and built-in appliances. Basic building coverage is available for up to $250,000 for residential and up to $500,000 for commercial. Contents Coverage covers the contents of your home like furniture, clothing, electronic equipment, smaller appliances, etc. Basic contents coverage is available up to $100,000 for residential and up to $500,000 for commercial. Please keep in mind that you can purchase an Excess Flood Policy if you need more coverage than what’s available in the basic plans. You should also understand replacement costs – the amount you the insured will receive in the event of a loss. Replacement Cost Value (RCV) is the cost to repair or replace the insured item at the time of the loss. There is no deduction for physical depreciation. 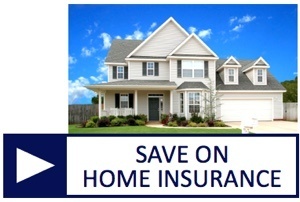 The insurer is paid the amount required to replace the insured item (up to the limit). RCV is available when the insured property is the primary residence, and the amount of coverage is equal to 80% or more of the replacement cost of the building. Actual Cash Value (ACV) is the cost to repair or replace the insured item, less the physical depreciation at the time of the loss. The depreciation is based on the age and the condition of the item. The contents of your property are always paid at ACV. One more thing to keep in mind: With flood insurance, there is a 30-day waiting period before the coverage goes into effect, so don’t wait until you hear about a flood warning on the morning news to add flood insurance to your business or homeowners insurance policy. American Insuring Group can help you determine if you flood insurance is right for your home or business. 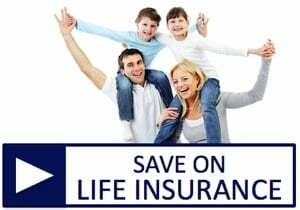 And, regardless of what type of personal or business insurance you may need, we'll help you save because our independtent agents are free to shop among many competing carriers to find the right insurance protection at a great price. 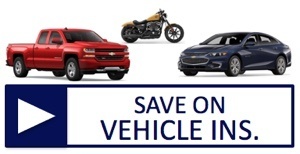 So contact us online or give us a call at (800) 947-1270 or (610) 775-3848 to learn more. Whether you’re a subcontractor or a general contractor – whether you build small backyard sheds or giant commercial buildings – whether you’re a one-man remodeling business or a multi-million dollar construction company, there are three types of insurance you need to consider. In other words, the size of your business and the size of the project make little difference. If you want to protect your investment, your employees, and even your business, there are three types of commercial insurance to consider: Liability Insurance, Builders Risk Insurance, and Flood Insurance. Commercial Liability Insurance is a critical part of any business’s insurance portfolio and particularly pertinent in the construction industry where accidents and injuries are more common. Commercial Liability Insurance protects you and your company if someone gets hurt on your property or if you or an employee causes property damage or injury on a job site. 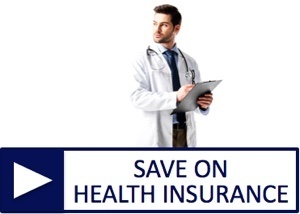 This insurance helps cover medical and legal defense costs and settlements if you are sued. Extended litigation (including attorney fees and court costs) can quickly deplete your cash reserves - even if the claims are found to be unwarranted. The amount of liability insurance is proportionate to the cost of the project. Generally, you should have coverage that is two to three times the amount of the construction project budget. In addition, businesses with higher risk for damages, such as roofing contractors, may need higher coverage. Before you begin to build, repair, or remodel any structure – even as a subcontractor - common business standards require that you provide evidence of liability insurance. Adequate General Liability Insurance safeguards your business – even in today's litigious environment. Builder’s Risk Insurance (construction insurance) is property insurance that covers damage to a building during construction. It may cover just the structure itself, or it can include materials, fixtures, and/or equipment being used in the construction or renovation of the building. Lending and municipal authorities will often require this insurance, and it can apply to both new construction and remodeling projects. Most Builder’s Risk Insurance policies cover damage caused by fire, wind, lightning, hail, theft, vandalism, and damages by aircraft and vehicles. Items that generally are not covered include damage due to earthquake, employee theft, water damage, and mechanical breakdown. Damage resulting from faulty design, planning, workmanship, or materials is rarely covered, and it’s important to note that Builder’s Risk insurance doesn’t cover tools and equipment or the property of others (that’s why it’s important for sub-contractors to have their own insurance). Flood insurance is typically covered by the National Flood Insurance Program and usually has a 30-day waiting period before entering its coverage period. This is done so the insurance isn’t purchased only when a flood is expected. Flood insurance is required in high-risk areas and strongly recommended in moderate-to-low risk areas. It normally covers damage caused by tidal waves, overflow of inland water, unusual accumulation of runoff water, and water exceeding normal levels. For more customized information about your construction insurance or contractor insurance needs, contact American Insuring Group at (800) 947-1270 or (610) 775-3848. 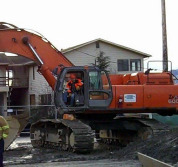 We'll help get you the right coverage for your projects at the right price. That's because we're independent agents offering over 25 competing brands of insurance, so we're free to find you the best deal in quality insurance protection. Contact us today. Should You Get Flood Insurance for Your Home or Business? While most Pennsylvania homes and businesses are not considered to be in a flood plain, that doesn't mean that buildings in Pennsylvania don't flood. Even low risk areas suffer flooding due to poor drainage systems, blockages, broken mains, or rapid precipitation. The average homeowner's and business insurance does not cover flood damage, so it merits a discussion whether to purchase a flood insurance policy to protect yourself. If your home or business is located in a flood-prone area, you were probably required to purchase flood insurance by your lender, so you have probably skipped this whole topic! The fact is, though, that about 25% of flood claims come from buildings in low or moderate risk areas, so no area is completely risk-free when it comes to flooding. Flood Insurance? I’m Just Renting! Even if you are just renting, you should still consider flood insurance if you have valuable equipment you couldn’t afford to replace. So if you run a scuba shop you might be okay, but everyone else should take a look at their computers, copy machines, and everything else it takes to run a business and picture them in a foot of water. Renter’s insurance can keep you covered in case that happens. How Much Will Flood Insurance Set me Back? To get an accurate quote on your potential flood insurance premiums, you’ll need a property value assessment and an estimate on the value of the contents of your property. If you do live in a lower risk area, the premiums can be surprisingly reasonable since it is less of a gamble for insurance companies. Homeowners can buy coverage for up to $250,000 for the building and $100,000 for the contents. 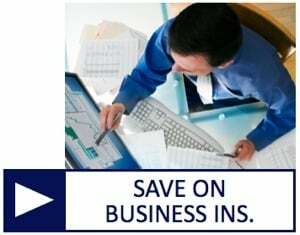 Business owners can get coverage for up to $1,000,000, half for the building and half for the contents. Renters can purchase coverage up to $100,000. If your property or equipment is worth more than that, you may want to consider getting excess coverage. When considering various plans, confirm whether the coverage is based on the current value of an item or the replacement cost. 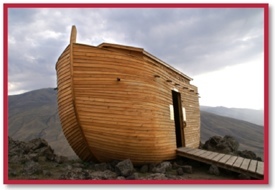 So don’t wait until you see the ark float by; find out what kind of flood insurance works for you to protect your home and business! Give us a call at (800) 947-1270 or (610) 775-3848 or Contact Us by email. The storm season is here, and it pays to be prepared with the right homeowners insurance policy. Homeowners insurance is designed to protect you from severe financial loss when your house is damaged. Major home damage in Reading PA, Berks County, Lancaster, Allentown, Philadelphia and other parts of the eastern U.S. often occurs due to flooding. Fortunately, today’s technologies can restore your home to pre-flooding condition, especially if you act quickly when water damage occurs. Do you know what to do or who to call when major storm damage occurs? Be sure to contact your homeowners insurance agent as soon as possible, and to take plenty of photos of the damage. Remember to watch for fallen power lines and standing water that may be electrically charged. 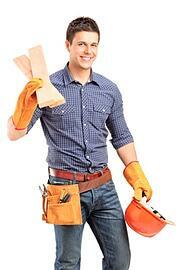 Plumbing, roofing, and electrical systems and appliances should all be checked by a qualified professional. For more information, request our free report. To receive your free report, courtesy of PuroClean, click here. American Insuring Group is proud to offer you the guaranteed lowest prices on high-quality, affordable homeowner’s insurance from a multitude of competing home insurance carriers. With over 25 competing brands of insurance, we guarantee the best deal on homeowners insurance, as well as insurance for your car, life, health, or business. Contact us today for a free, no-obligation quote, or click for an > instant homeowner’s insurance quote. Flood Insurance for PA Homeowners – Are You At Risk? Many homeowners throughout Berks County, Lancaster County, and elsewhere in Pennsylvania experienced surprising homeowners insurance claims in 2011 due to flooding. Sadly, many lacked proper flood insurance resulting in denied claims and financial hardships that could have easily been avoided. From Reading PA to Allentown, from Lancaster to Erie, and Philadelphia to Pittsburgh, homeowners were caught uninsured, underinsured, and unprotected against flooding. Over-the-ground flooding can cause severe property damage and often presents unique challenges to homeowners as they attempt to restore their homes and property, with or without the benefit of flood insurance coverage on their homeowner’s policy. As many Pennsylvania homeowners came to realize in 2011, flooding can occur outside of so-called flood plains, so acquiring flood insurance even if you are outside a flood plain can be the difference between financial protection and financial disaster when a surprise flood occurs. Hurricanes, tropical storms, and even thunderstorms can cause extensive flooding even hundreds of miles from the coast. To download PuroClean’s factsheet on recovering from over-the-ground flooding, click here. 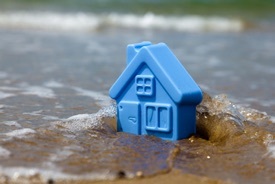 Remember, a flood can cause a major upheaval in the lives of any homeowner. 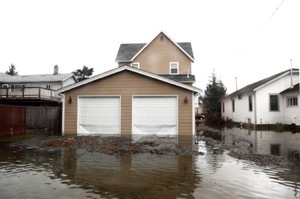 Be sure to carry the proper flood insurance on your Pennsylvania homeowners insurance policy. Then, whether you hail from Reading or Lancaster, Philadelphia or Allentown, Pittsburgh or Erie, you will be grateful that you had the foresight to plan ahead. Your family will thank you as well. 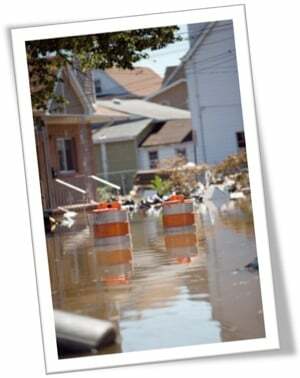 Need flood insurance for your home in Pennsylvania or elsewhere? Contact the commercial and homeowners flood insurance experts at American Insuring Group near Reading PA. We’ll make sure you’re covered with the right homeowners flood insurance to get your home and property restored quickly and thoroughly. Click the Contact link above, or call us at (800) 947.1270 or (610) 775-3848.